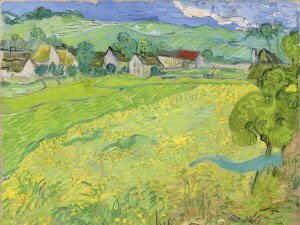 As part of the VanGogh2015 events held in several European museums to commemorate the 125th anniversary of the death of Vincent van Gogh, the Museum is presenting a small exhibition of five of the Dutch artist’s works in the Thyssen-Bornemisza collections: four oil paintings and a lithograph that represent the main periods in his career. All five works were acquired between 1965 and 1996 by Hans Heinrich Thyssen, who was born in Scheveningen, on whose beach Van Gogh often went to paint during his years in The Hague. They are displayed alongside three paintings (also from the Museum’s collections) by Georges Michel, Charles-François Daubigny and Anton Mauve, three landscape artists who exerted decisive influence on Van Gogh during his formative period.